In the spring, I talked about some great ways to grow food in small spaces. Now that it is late July and my gardens are starting to get into full swing, I was reminded of a day late last summer when the vegetables were in full production. After one of my kids spent a full day hanging out at a friend’s house, the friend’s mom had sent home two cucumbers from her garden. I remember how much I appreciated her simple gift. If she had bought them at the store and sent them home to me, I probably wouldn’t have thought much of the gesture. But, because she grew and nurtured them in her own garden and then passed them on to me, I felt loved! 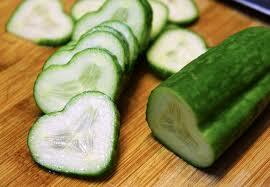 It’s funny how a couple of irrelevant cucumbers can pack such a message! But, food does have meaning; in many ways, it tells a story. That’s why so many of our holidays and traditions are centered around food. Food brings us together and we create meaning and memories through food. Sometimes, I think about what I am saying to others through food. 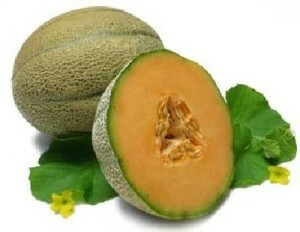 One day last winter while we were grocery shopping, my youngest wanted a muskmelon. I remember thinking “$3.50 for a muskmelon, are you kidding me?” In the middle of summer, I wouldn’t pay more than a buck or two for a muskmelon. I remember catching myself just as that two letter word was about to roll off my lips and I remember thinking; “well, it’s not the middle of July, it’s the middle of January.” I’m sure I’ve spent $3.50 on many other things that were not nearly as healthy as this” (chips, ice-cream, other miscellaneous snacks). But, for whatever reason, these purchases seemed to be OK because I wasn’t paying more for them than what I thought they were worth. I don’t usually buy fruit or vegetables that aren’t in season, but before I said no, I thought about what I was saying to my child by not getting the overpriced fruit. So, instead, I said “sure, I could go for a muskmelon in the middle of January”. We ate it later that cold January night, and it was truly one of the best muskmelons I remember eating. I have worked pretty hard to teach my kids the value of a dollar over the years, but I think this needs to be balanced with teaching them the value of a good memory as well. Again, I’m referring to something as simple as a fruit or a vegetable, but those simple foods do play a bigger part in our lives than we often realize, they can create memories; they can tell a story.